There are a few things you need in order to get behind the wheel of a truck. The ability to drive is obviously one of them. A recognised licence is another. However, the most important and necessary requirement is undoubtedly good eyesight. But when was the last time you had your eyes tested? A recent survey found that one in four motorists had not undertaken an eye test since passing their driving test. On top of this, 81 per cent were overdue an eye test and 62 per cent required a new prescription. These figures are pretty astounding and have led to the DVLA calling for all drivers to keep an eye on the quality of their vision. Arguably the easiest way of checking your vision is by completing the 20 metre number plate test. This method has been commonly used for the past 80 years, is backed by the DVLA and can be carried out in your own time anywhere. However, critics say it’s not a conclusive check as it cannot identify blindness in a single eye or other health concerns. They want the government to do more to ensure drivers of huge vehicles, like scaffold trucks, tipper trucks and skip loaders, have regular checks on the standard of their vision. Poor eyesight has been attributed as the main cause of crashes that have resulted in around 2,900 people being injured. 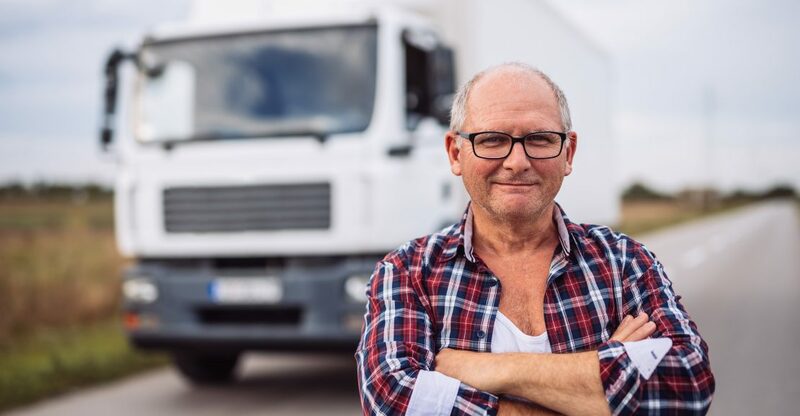 With truck drivers being in control of considerably hefty and powerful vehicles any type of accident involving them could prove to be deadly. In 2016, a total of 1,298 HGV drivers had their licence revoked by the DVLA for poor eyesight. That was a rise of 45 per cent on four years earlier. Unfortunately, Britons as a whole love the freedom that driving presents. This is made quite apparent from another survey that revealed only 40 per cent would abstain from driving if their optometrist told them that their sight was below the legal standard for driving. Campaigners are now demanding motorists have their eyes tested every 10 years by law and that fleet operators do more to ensure the vision of their staff is satisfactory. The recommendation for people in the UK is to have their eyes tested every two years. But that’s it. It’s only a recommendation. Ultimately it’s up to us as individuals to ensure our vision is not impaired. If you haven’t had your eyes tested for a few years or have noticed your vision deteriorating slightly, do yourself and your fellow motorists a favour and book yourself in for an eye test.